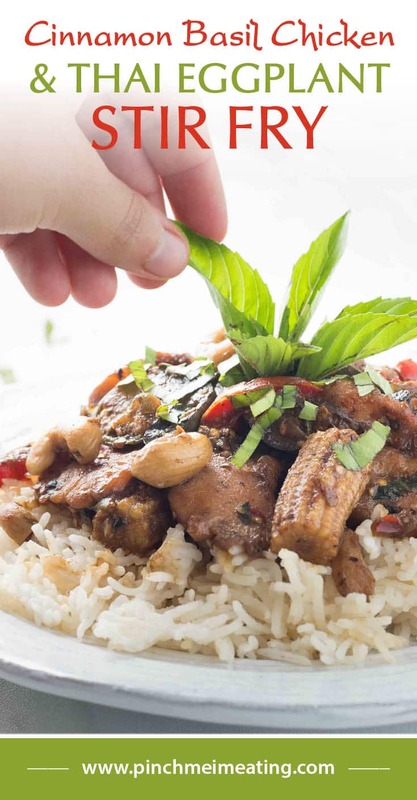 Cinnamon Basil Chicken and Thai Eggplant Stir Fry | Pinch me, I'm eating! 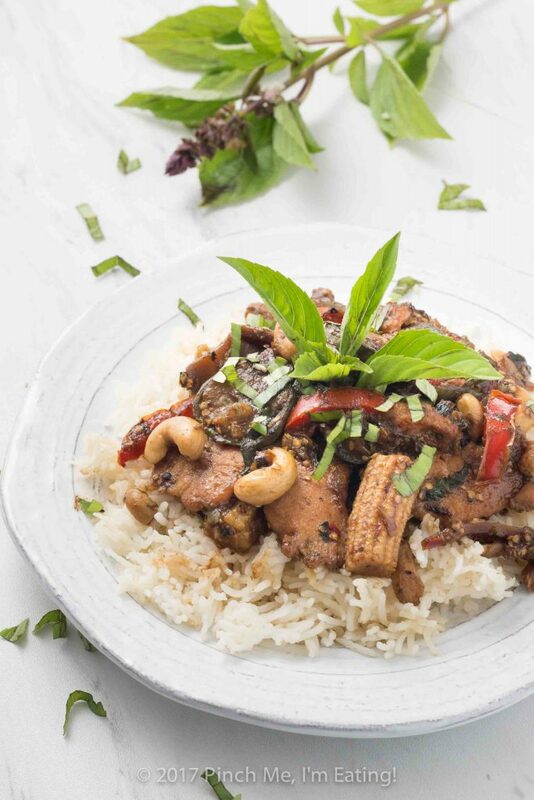 Cinnamon basil chicken and Thai eggplant stir fry takes advantage of all that seasonal summer produce and has a rich, spiced flavor you won’t forget! Don’t have cinnamon basil or Thai eggplants? Use what you have! Somehow I ended up growing four different types of basil in my garden this year. 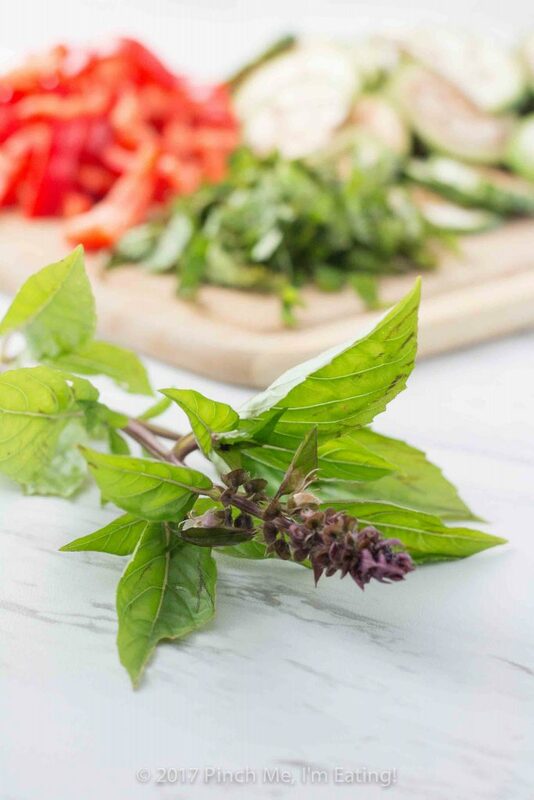 Did you know there are between 50 to 150 varieties of basil? I knew there were a few, but holy cow! When I realized this spring that basil and tomatoes are good companion plants, I freaked out and bought every variety of basil I could find at Lowes. Because I’m a basil fanatic. No more wasted space between my tomato plants! And I’d finally get a chance to have my very own weird herbs instead of just coveting them at the farmer’s market! Besides the easily accessible sweet basil on my front porch, I ended up with two more patches of sweet basil in the tomato bed, along with purple basil, lime basil, and cinnamon basil. I easily found uses for the other basils, but the cinnamon basil had me a bit stumped. 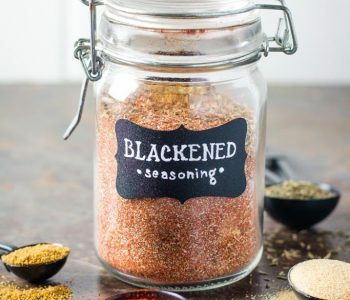 The smell and taste is just like it sounds — a cross between cinnamon and basil — and it’s a little stronger and spicier than your standard sweet Italian basil. The flavor was overwhelming when I tried it in my Italian cucumber tomato salad, so I consulted the tag that came with the plant: frequently used in Thai cooking. 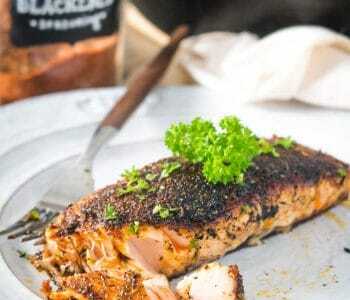 Now, I’m not sure how accurate that is, since cinnamon basil is also apparently known as Mexican spice basil, but it sure worked for this recipe! 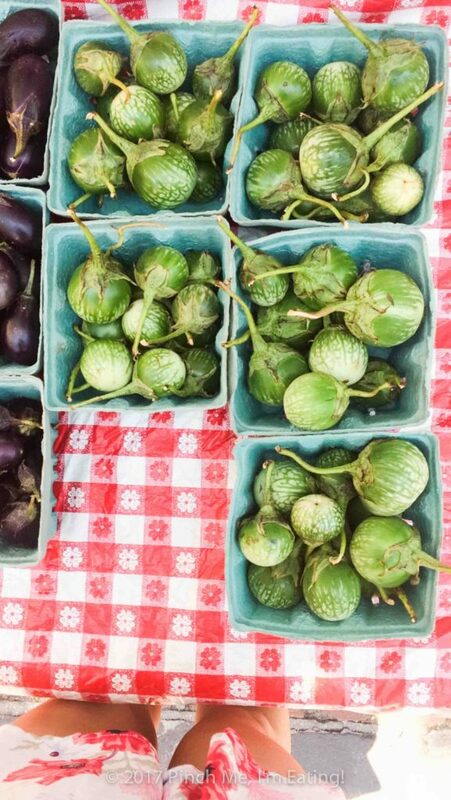 When I saw these adorable Thai eggplants at the farmer’s market, I knew it would be the perfect match for my cinnamon basil. Being green and all, I expected the Thai eggplants to be more bitter than regular eggplants (like green vs. red bell peppers), but they’re actually even milder and sweeter! 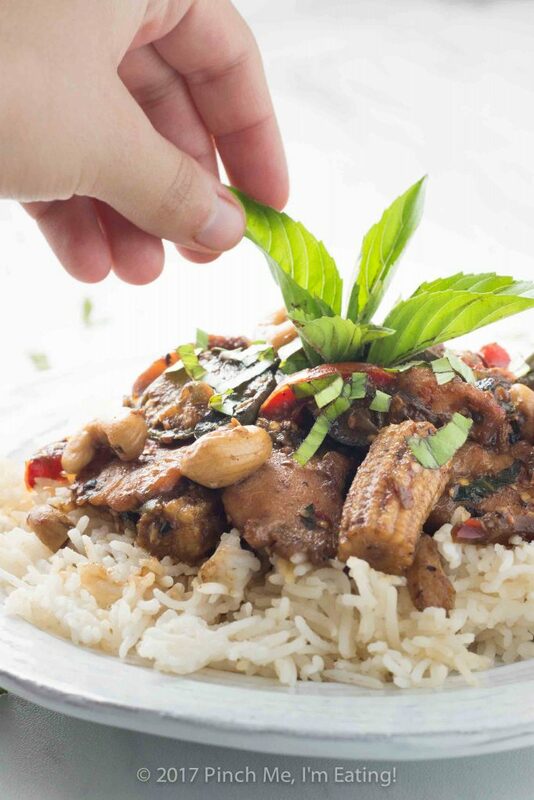 This cinnamon basil chicken and Thai eggplant stir fry is not at all my usual flavor profile (i.e., very Italian and Southern) but boy is it good, especially over some jasmine or basmati rice! 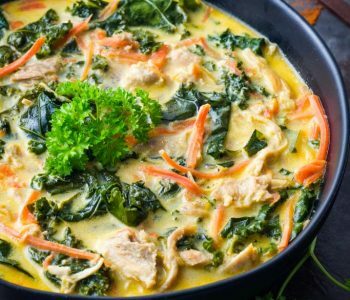 The chicken in this recipe is suuuuper tender. You know how tender the chicken is when you go to a Chinese buffet and get the broccoli chicken? There’s a secret trick to getting your chicken to do that! 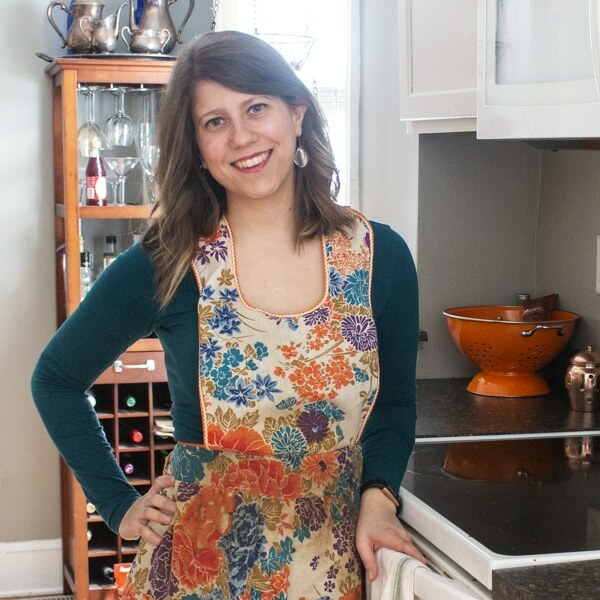 I discovered this technique not too long ago and it’s a game-changer for Asian-inspired chicken recipes. 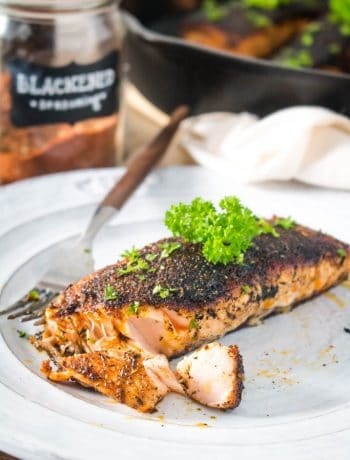 Just sprinkle the sliced raw chicken with baking soda and let it sit for 10-15 minutes, but not too much longer or the meat will break down too much. Besides the cinnamon basil, chicken and Thai eggplants, I threw in all sorts of other goodies in this stir fry – onions, bell pepper, bamboo shoots, baby corn, and raw cashews. Delicious! Some ground coriander seed, oyster sauce, garlic, and red pepper flakes were the perfect companions to the flavor of the cinnamon basil. Much more harmonious than trying to fit the cinnamon basil into my Italian recipes! 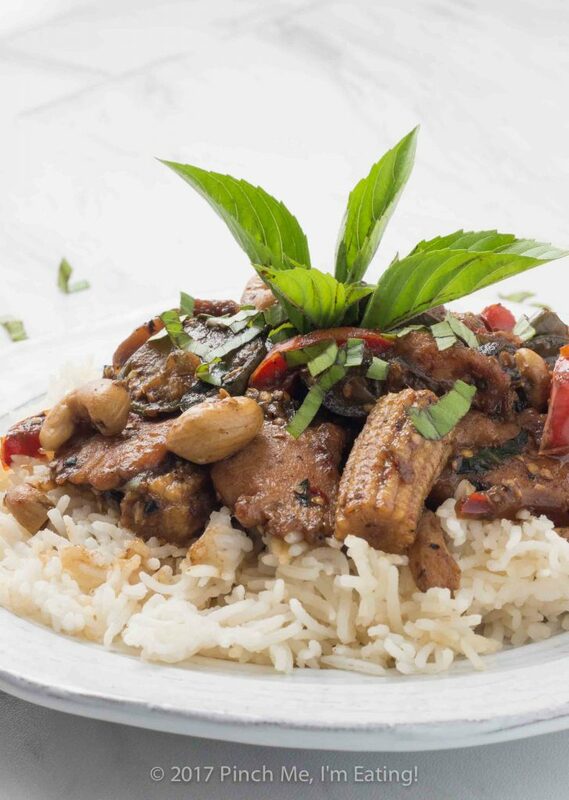 One thing I would change about how I made this cinnamon basil chicken and Thai eggplant stir fry – I cooked the eggplant and bell pepper first and then added in the chicken – but the eggplant pretty much fell apart by the end of it. 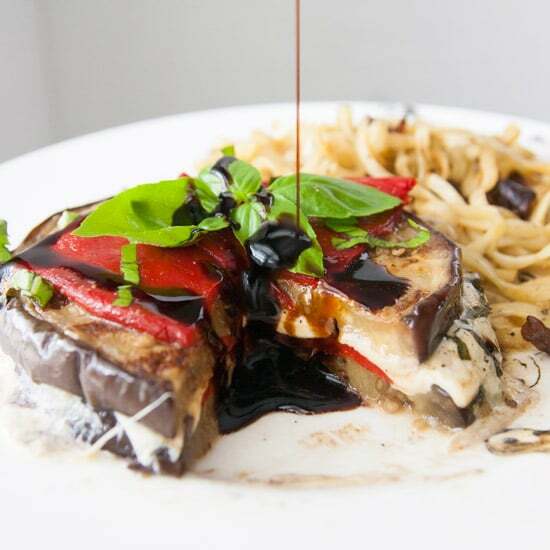 So in the recipe below I’ve switched the order so you’ll cook the chicken first before adding the eggplant. Mine was still delicious but I want you to have actual semi-firm veggies in your Thai eggplant stir fry! Don’t have cinnamon basil? 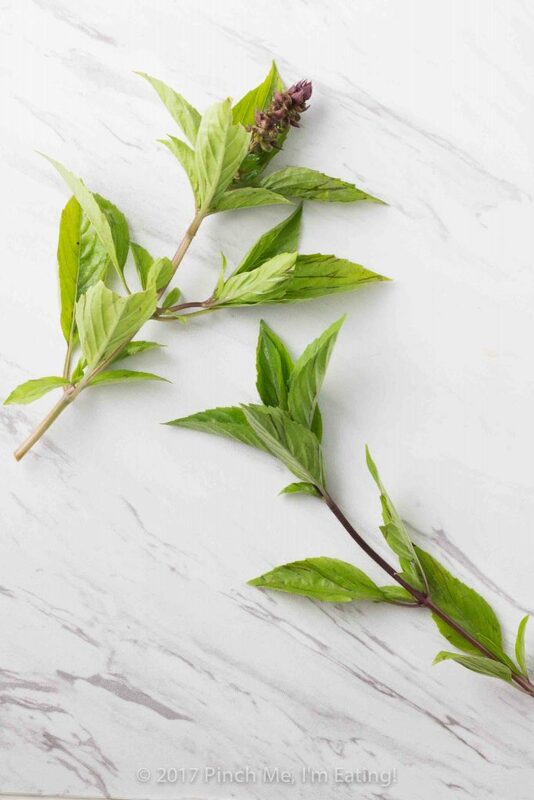 Use Thai basil or regular sweet basil, plus a half a tsp of ground cinnamon. 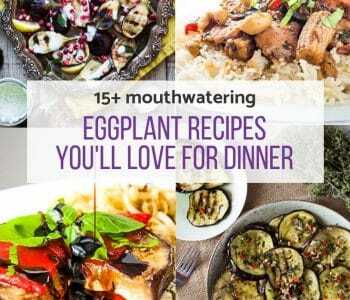 Don’t have Thai eggplants? Use whatever eggplants you do have! It’s a stir fry, so it’s pretty flexible. 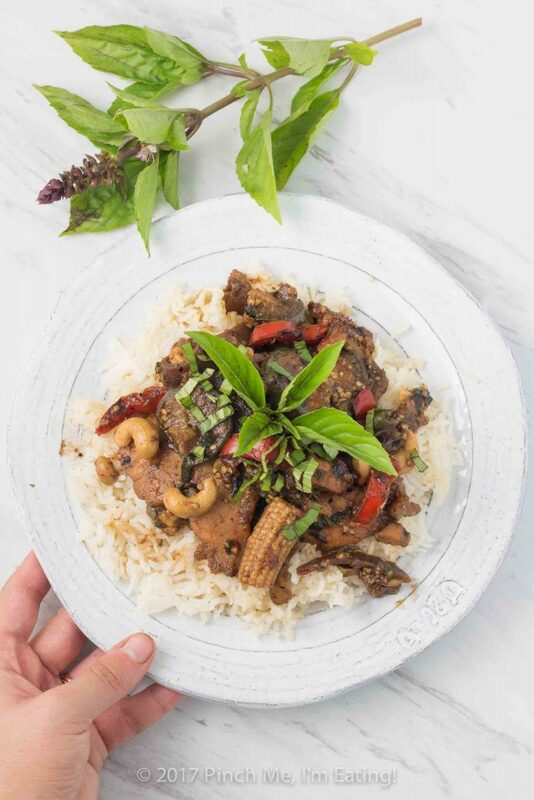 So if you’ve been wondering what to do with your cinnamon basil, or if you’re just looking to mix things up in the kitchen a bit, give this cinnamon basil chicken and Thai eggplant stir fry a shot! Want to learn more about other types of basil you can grow and the differences between them? Check out these great pages I found! Cinnamon basil chicken and Thai eggplant stir fry takes advantage of all that seasonal summer produce and has a rich, spiced flavor you won't forget! Don't have cinnamon basil or Thai eggplants? Use what you have! 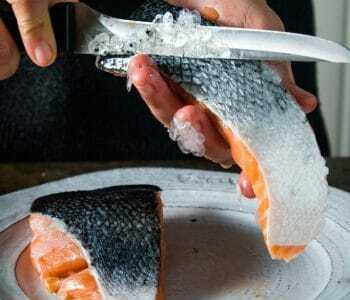 Thinly slice the chicken - if it is half-frozen, it is easier to slice. Set slices in a medium bowl. Sprinkle with baking soda, toss to combine well, and let sit for 10-15 minutes to tenderize while you prep the other ingredients. If you haven't already done so, chop all your veggies and cinnamon basil as directed in the ingredient list. Preheat cast iron skillet, wok, or other large pan to medium and add 1 tbsp olive oil. Add onion and cook 2-3 minutes or until starting to look translucent. Push onions to the side and add chicken. 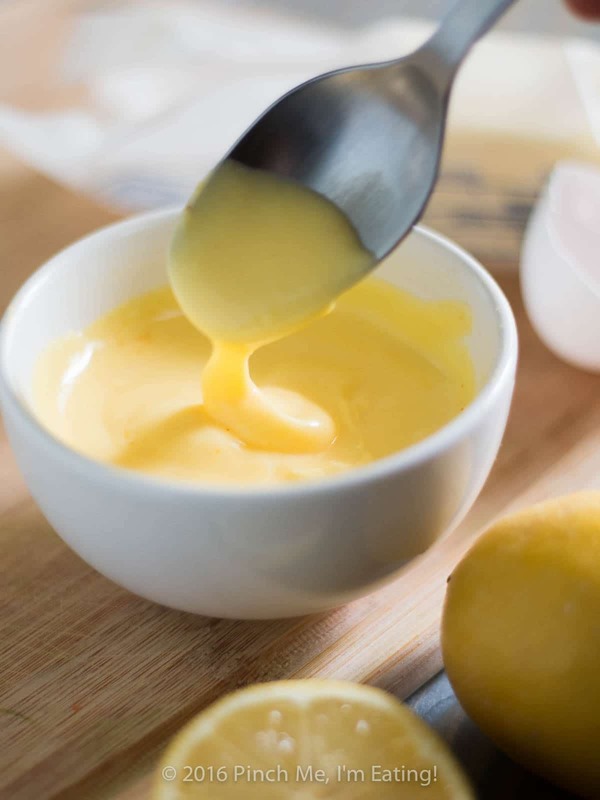 Don’t touch for at least 2 minutes, then flip and cook another 2 minutes. 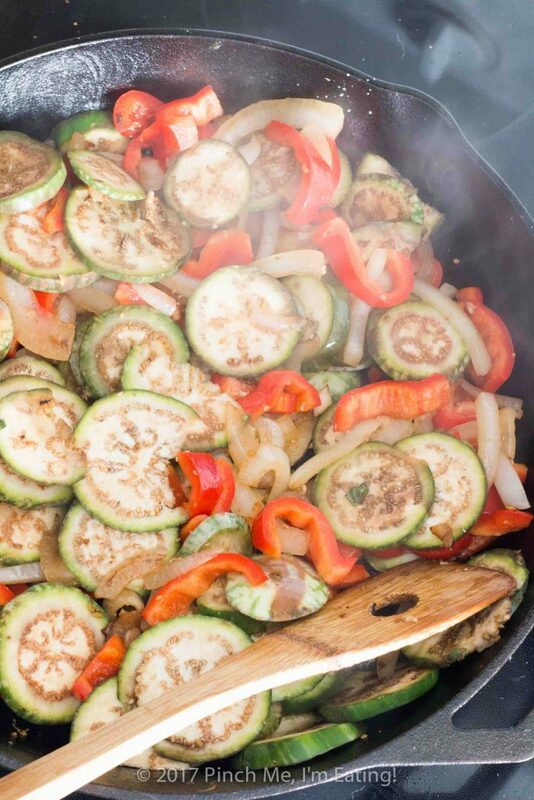 Add garlic, bell pepper and eggplant and cook 5 minutes or until tender. Add bamboo shoots, baby corn, cashews, cinnamon basil, coriander, red pepper flakes, oyster sauce, and ginger. Salt to taste. 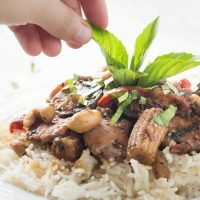 Serve over Jasmine or Basmati rice. 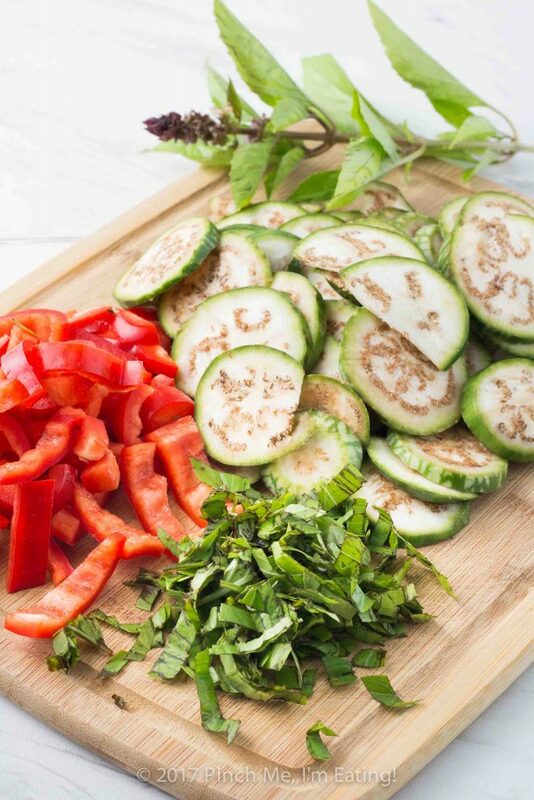 If you don't have cinnamon basil, substitute Thai basil or sweet basil, plus 1/2 tsp ground cinnamon. If you don't have Thai eggplants, substitute regular eggplants. Recently, I have discovered that I am not getting email notification for new posts from several of my favorite blogs. Yours is one of them. I have been asking some of the others if i was unsubscribe but I am not, and assume that is the same with you. I don’t know why this is happening but it is frustrating. I have unsubscribe and re subscribed to no avail. I will try a different email address. Ugh. You must think that I disappeared, and that is what I thought happened to you! Sorry to be MIA… I will see what I can do to get back in? Ah, David, the lack of email is totally my fault, not yours! I’ve was a bit slack at the beginning of summer with a bit of blogger burnout and am finally starting to get back into regular posting – but I’ve been especially bad about not sending newsletters! I will be sure to get back into sending them! I’m sure everyone thinks I’ve disappeared off the face of the planet!